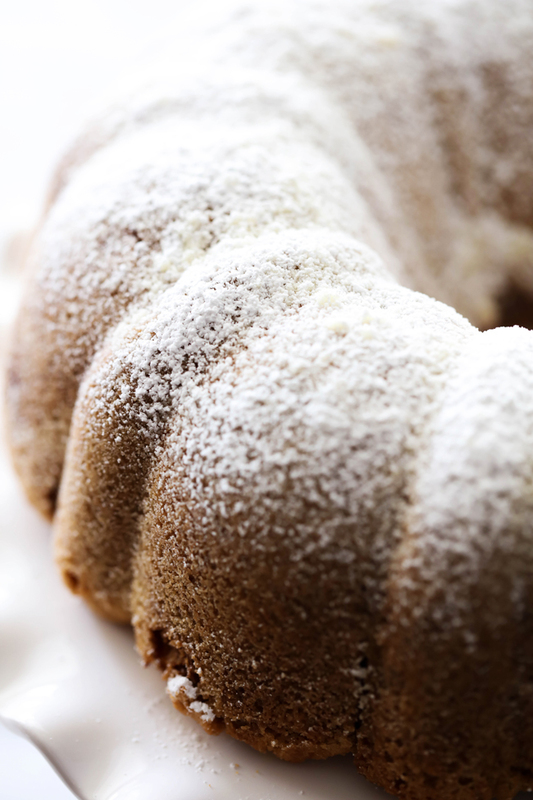 This Apple Spice Bundt Cake is moist and has a delightful spice flavor. It is loaded with apples and is perfect anytime of year! It is sure to be a new favorite! Bundt cakes are some of my favorite cakes to make! I love how moist they are. This particular one has apples throughout the entire cake that add to the marvelous texture. The spices compliment the apples wonderfully and give the cake character. The great thing about this cake is the flavor is fantastic year round. My dad received the recipe from one of his coworkers and couldn’t wait to share it with me. Once I made it I was hooked too. 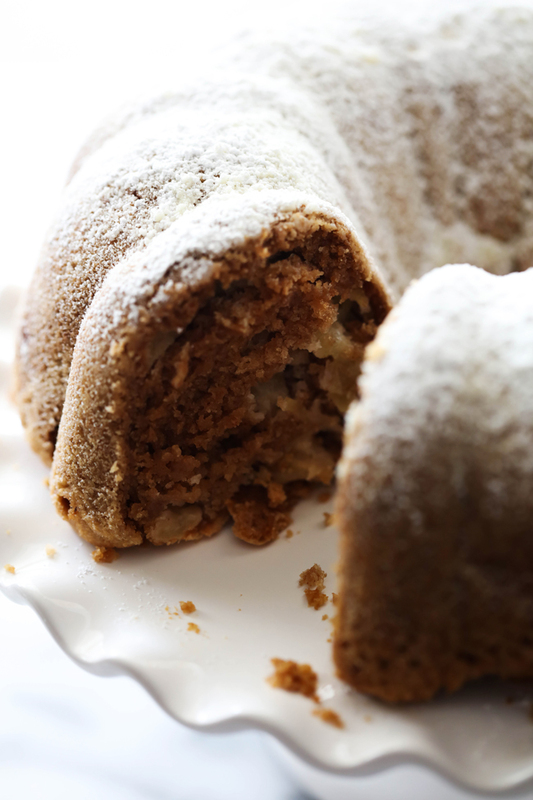 If you love cinnamon, nutmeg and apples, then this is the cake for you! Spray bundt pan with cooking spray that has flour. In a large mixing bowl, combine oil, sugar and vanilla. In another bowl, sift together flour, baking soda, salt, cinnamon and nutmeg. Slowly add dry ingredients, careful not to overmix. Pour batter into prepared bundt pan and bake at 325 degrees F for 65 to 80 minutes. Cake is done when long wooden skewer comes out clean. Let cake rest in pan for 15 minutes before inverting onto a wire cooling rack. Oh dear Nikki: this bundt covers everything I adore. New favourite at my home it is ! Thank you so much !